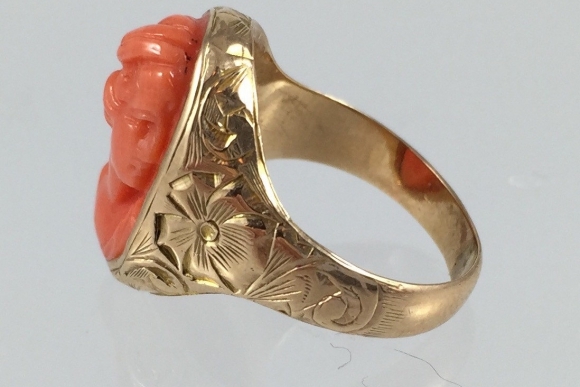 This gorgeous Victorian 14K yellow gold, hand carved coral cameo ring will be one of those pieces of jewelry you never want to take off! 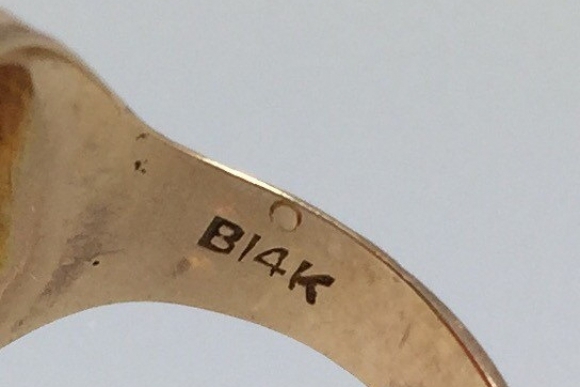 Set in ornately hand engraved gold, the simple vintage setting is a cut above with old world detailing. 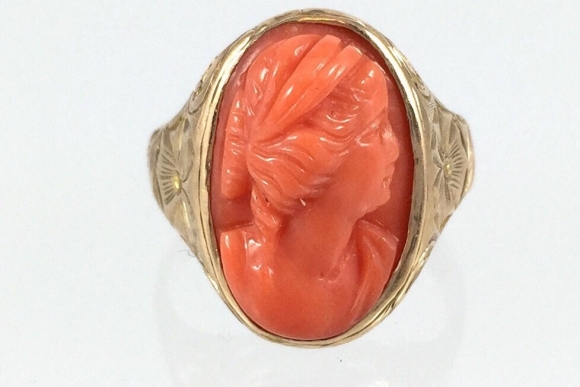 The cameo hand carved in coral depicts a classical ladys bust in profile, with good dimension and undercutting. 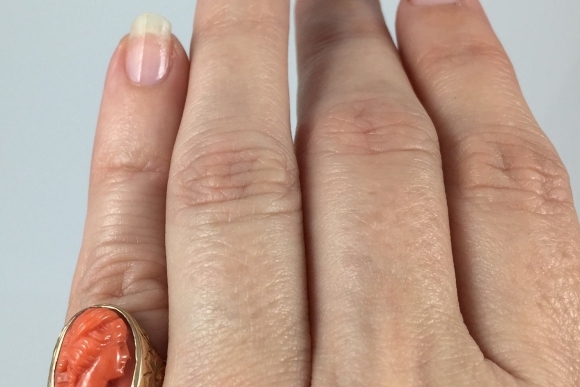 The ring is a size 4 3/4. 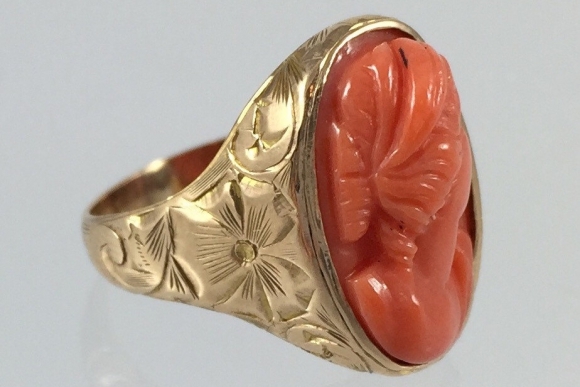 It will make a nice pinky ring, or may be worn on the ring finger. Sizing for a perfect fit is complimentary. Very good condition. Circa 1875.